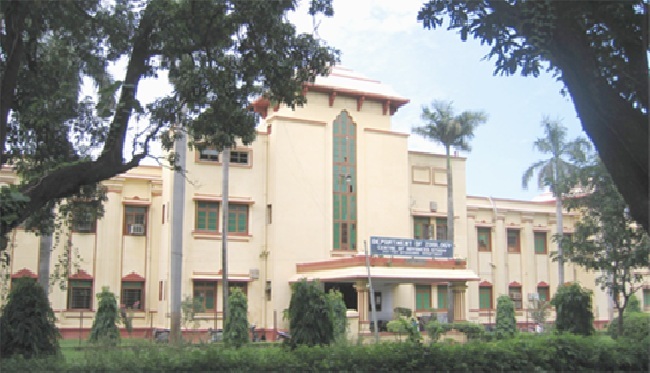 Founded in 1921, the Department of Zoology, Banaras Hindu University has been one of the leading departments in the country. It has not only provided up-to-date teaching but also taken lead in introducing newer disciplines to the teaching curricula. Thus, introduction of subjects such as Genetics, Ecology, Endocrinology, Biochemistry, and Evolution in the decade of sixties in the teaching curricula, much ahead of other departments in the country, helped develop the understanding of Biology as a living, growing science. In that respect, the Department has been a pioneer in Zoology teaching in India. Incorporation of Animal Behaviour, and more recently, Molecular & Human Genetics, Molecular Endocrinology, Neurobiology, etc. in teaching has kept the department up-front. The growth and diversity in teaching has been made possible by the induction of progressive and competitive faculty whose researches in diverse areas (such as physiology and molecular biology of ageing, hormonal control of reproduction and body rhythms, insect and fish physiology, genetic and chromosomal evolution, function and regulation of noncoding RNA) have not only added to the knowledge in frontier areas but created an ambience that stimulates creative research. This level of growth and progress has been possible largely due to development of technical expertise and creation of state-of-the-art laboratories through a number of individual research projects to the faculty. In addition, UGC support in the form of Special Assistance Programme (1972-1985), elevated as Centre for Advanced Study (1985-2023), COSIST (1986-1991) and DST's FIST support (2001-2007, 2007-2012 & 2018-2023) to the department have most substantially contributed to the achievements of the Department in research and teaching. The scientific merit of the faculty has been recognised from time to time through honours and awards, such as Padma Shri, SS Bhatnagar Prize, Jawaharlal Nehru award, FICCI Award, Hari Om Trust award, Vigyan Ratna, and fellowships of prestigious national science and medical academies. The faculty members have been serving on editorial boards of various journals in their domains of expertise and as members of national and international decision making bodies that formulate general policy/plans on research and education. The tradition of strong training and excellence has been maintained and expanded during the last 40-45 years.